If you are a smoker, you may need quality gum treatment in our Houston dental office. Contrary to popular belief, smokers are more susceptible to a variety of dental complications than nonsmokers. The toxins that enter your mouth touch your gums and teeth during smoking, making your tissue more susceptible to long-term damage. Since nicotine and other harmful chemicals in cigarettes weaken your oral tissues, the damage you are at risk for is very high. In our office, we can first remove the infection in the gums by a thorough scale and polish to discard the built-up plaque and tartar. If this does not suffice, a root planing or other cleaning service can be performed. These treatments will stop current infections and help prevent further infection. If a patient develops more complicated gum problems, we can perform gum surgery to reinforce the gums or replace gums that have receded significantly. Soft tissue grafts taken from the roof of the mouth may help fill in areas of missing gum. This procedure is common and provides successful results. There are also more comprehensive surgeries to resolve any other damage that may have occurred from smoking. Whatever gum treatment you may be in need of, our dental office can perform a thorough check-up and procedure to help you. Your gums can recover if you come to our office for a much-needed visit. Don’t let the toxins that come from smoking cause permanent damage to your gums and teeth. Let us give your oral health a second chance. 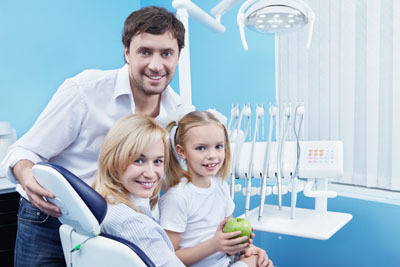 Proper care and treatments can lead to a healthy mouth once again. If you may need gum treatment in our dental office, schedule an appointment now, before your gums become worse.